Cape Flattery is a cape located in the Cape York region of northern Queensland about 40 km (25 miles) north of Cooktown and 368 km (229 miles) north of Cairns and abuts the Great Barrier Reef Marine Park. The area is mainly known for being the location of the world’s largest silica mine, but for explorers and adventurers the area has so much more to offer. Cape Flattery was named by Captain Cook during his voyage through the area in 1770. The first European explorer to attempt an overland expedition was Edmund Kennedy who was an assistant-surveyor from New South Wales for Lieutenant Colonel Sir Thomas Mitchell. After being appointed as the second in command on an expedition with Mitchell in 1846 Kennedy was put in charge of a second venture into Queensland as Mitchell was very impressed with his abilities as a leader. It wasn’t until Kennedy’s third expedition they went into Cape York. 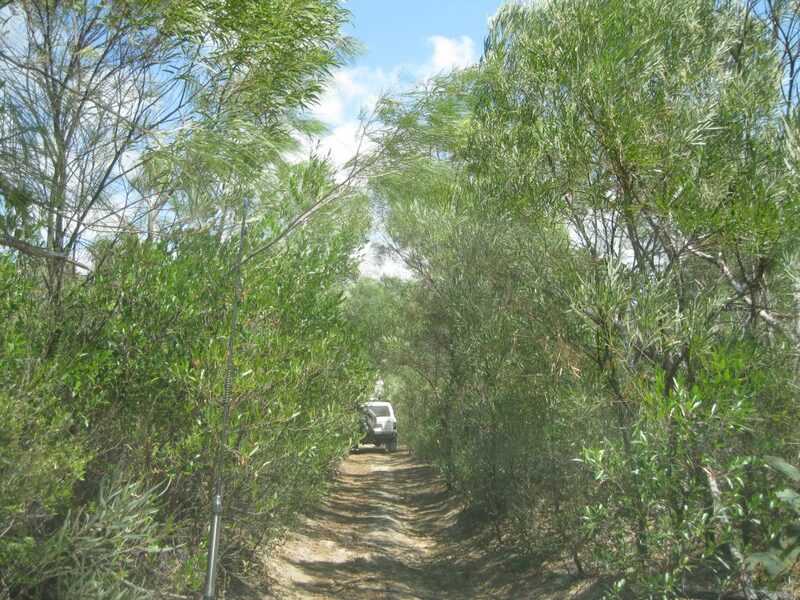 The purpose of this journey was to find the Gulf of Carpentaria after exploring Cape York. It was expected to take eighteen months to complete the expedition. Kennedy and twelve men sailed from Sydney up to Rockingham Bay in northern Queensland on 28 April 1848 where the adventure started. 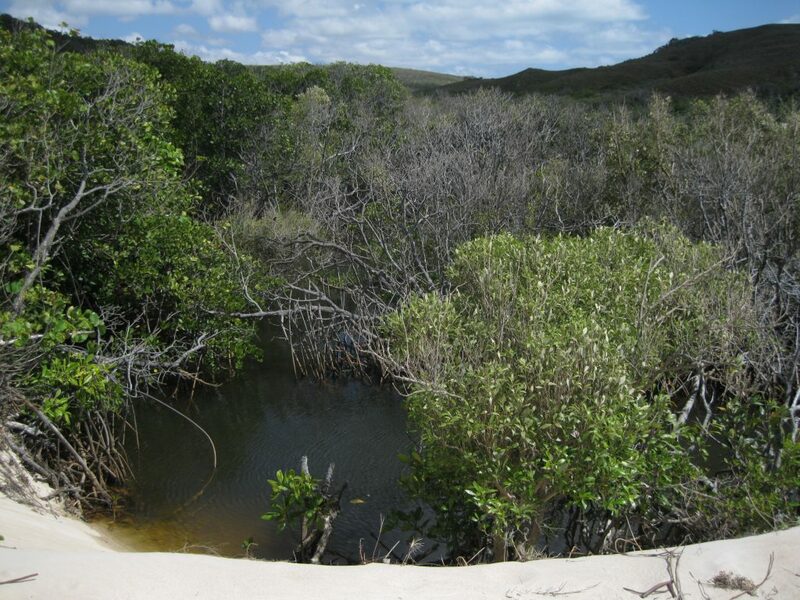 The area consisted of mangrove swamps, mountains, lagoons, rivers and rainforest. It was nearly an impossible task heading through this terrain with horses, carts and sheep. So after only having travelled 64 km (40 miles) from the coast and 19.2 km (12 miles) north of the landing point in nine weeks, Kennedy decided to abandon the carts and some supplies. By mid November 1848 the men and horses had weaken and the decision was made to leave eight men behind at Weymouth Bay. Kennedy and four men continued onwards to the north still with several hundreds of miles before the meeting point with the supply ship Ariel. One of the crew members accidentally shot himself while attending to the horses and two other of the men stayed behind to attend to him. They were never seen again as Kennedy and his Aboriginal tracker Jackey Jackey continued towards Port Albany. 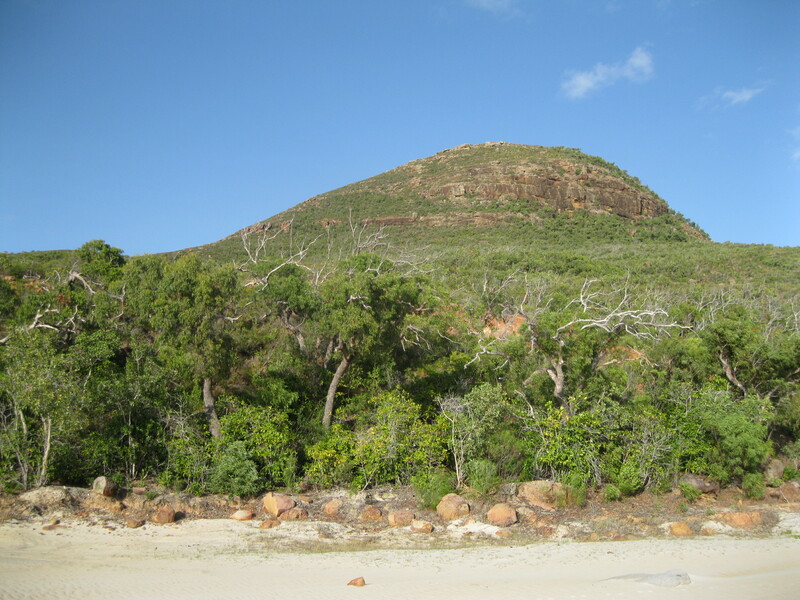 Near the banks of the Escape River only 32 km (20 miles) from the tip of Cape York, Kennedy was speared several times by Aboriginals and died in the arms of Jackey Jackey in December 1848. It was reported that the death came from an attack that was not directly provoked. Jackey Jackey continued heading north for ten days without supplies and reached Ariel on 23 December 1848. Visiting Cape Flattery has to be done in a 4WD (four-wheel drive) vehicle as the journey will take you through dirt roads, creek crossings and sand dunes. This terrain appears as soon as you get a bit beyond Cooktown and closer to Cape Flattery. If you are driving by yourself it is recommended that you have some basic experience in four-wheel driving and going through this kind of terrain. This not only applies to your driving skills but also to several other aspects you have to be aware off on your adventure. This includes things such as knowing what kind of tire pressure is appropriate for driving on the dirt roads and through the sand dunes. Mastering how to manoeuvre through the sand dunes and how to handle the creek crossings is another very important element. The roads through the sand dunes and especially the water levels in the creeks will change from season to season. So you have to be prepared for handling these challenges. It is recommended that you are at least two cars going together in case you encounter obstacles along the way. Your car could get stuck in a sand dune or in a creek and you would need to be towed out. Before you head on your journey to Cape Flattery, make sure you have brought all the necessary equipment and food. There are no facilities at the end destination, so it is recommended that you go shopping for all the food you need on your trip. You can go fishing at the cape but don’t count on catching anything. Bring toiletries, cooking equipment, the usual camping gear such as a sleeping bag, a swag, a tarp, camping chairs, a torch and so on. Then you will be all set for an amazing trip. If you are visiting northern Queensland from elsewhere, the best and most obvious choice would be to fly into Cairns. This is the major tourist hub in this part of the country and you can do so many fabulous things from here such as going to the Great Barrier Reef, Daintree National Park or up to Cape Tribulation. If you are going to Cape Flattery from Cairns or Cooktown you will be heading north. As you get beyond Cooktown, continue your journey on the Endeavour Valley Road which is a sealed road. The road changes its name to Endeavour Battlecamp Road as you start approaching one of the major sites on the way which is Isabella Falls, located about 41.3 km (25.8 miles) northwest of Cooktown. Definitely have a stop here and check out these lovely waterfalls. As you continue onwards and arrive at the dirt road, it is advised that you stop your vehicle and change the pressure in your tires to 25 psi. 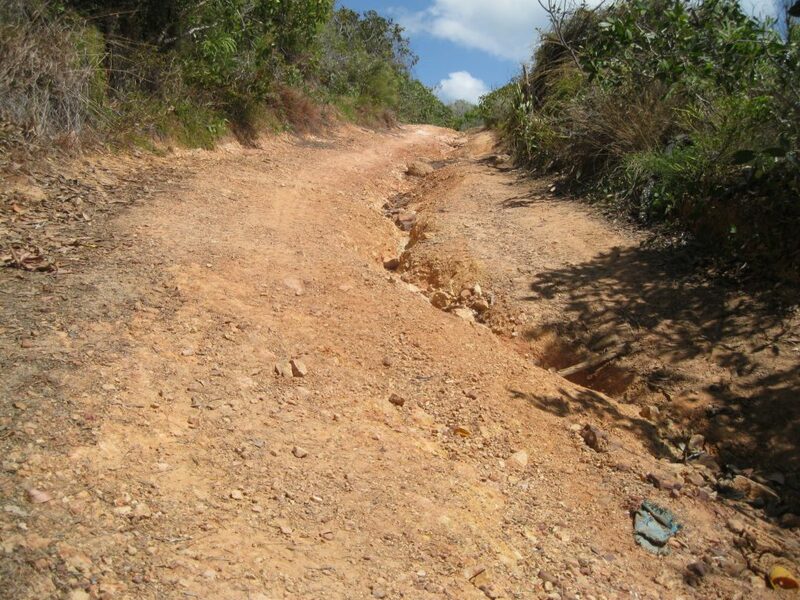 If you want to, you can continue on the dirt road with the 35 psi pressure, which you would have had on the sealed road. But changing the tire pressure is very important when you head onto the sand dunes, as it should be lower than what is the norm for a sealed road so you will get a much better grip when driving. The sand is really soft so you need as much traction as you can get, otherwise you can easily get stuck. At this point you should drop the tire pressure to 15 psi. As you continue on the dirt road you should change to 4WD mode. After about 15 minutes drive you will approach the sand dunes and the real adventure begins. 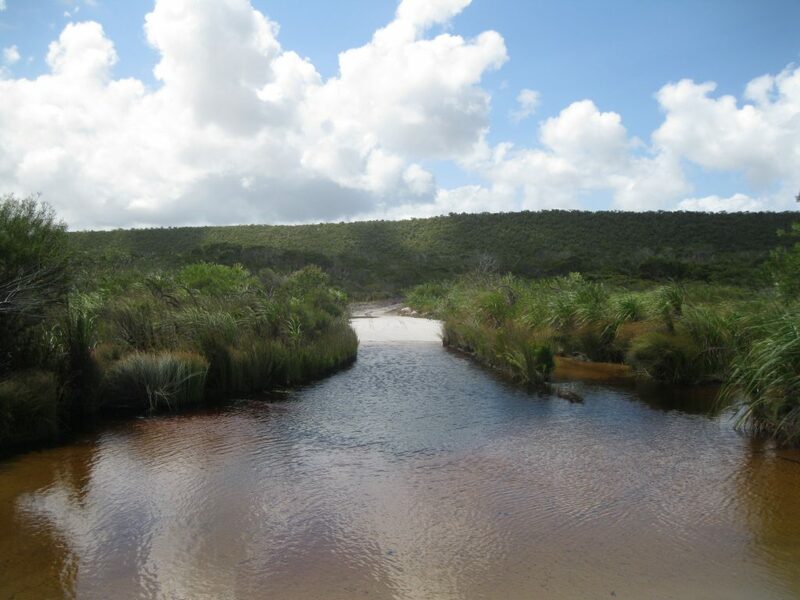 When you get to creek crossings it is possible to judge the depth by looking at the water but in certain cases, but at big crossings it is recommended that you stop the car and go out and scout the creek to see which is the most shallow part and therefore easiest to head through. Furthermore you will have the opportunity to take some magnificent photos of the creek carving its way through the sand dunes. Navigating through the sand dunes is such a delight and great fun as you race down the road, which you will most likely have all to yourself. The shape of the dunes is staggering and all the way through you will be treated to panoramic views of amazing formations of rolling hills of sand. If you had the time it would be an awesome experience to stop along the way and have a hike around the dunes. There are an abundance of great views through this fabulous landscape. When you are driving through the dunes you will notice that the sand has a tan colour. As you arrive at Cape Flattery Beach the sand colour turns grey/white. The drive through the sand dunes to Cape Flattery Beach takes about 40 minutes. 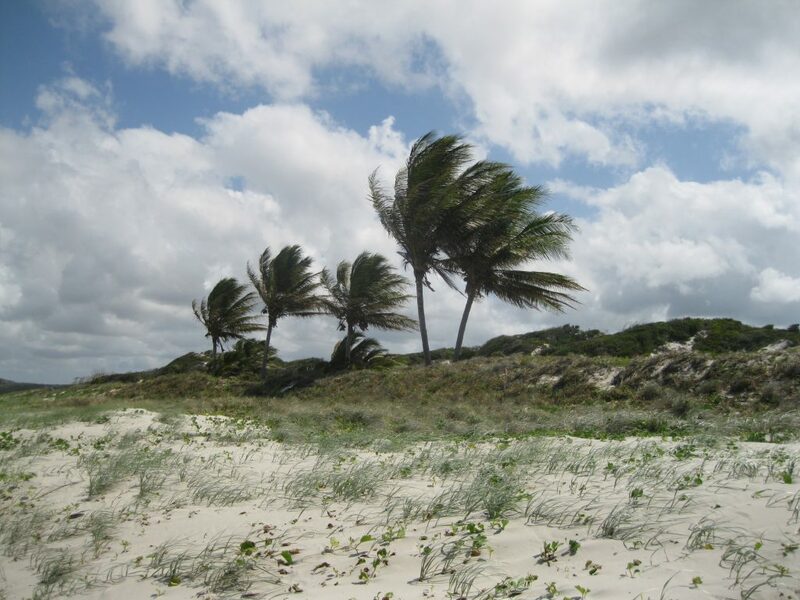 As you get to Cape Flattery Beach you will be approached by a massive windswept beach on the cape. Have a bit of a drive around here and check out the views. From here you can see Cape Bedford and the Coloured Sands in the distance and the McIvor River is close by as well. You can have a stop at one of the palm trees and get some coconuts if you have the appropriate equipment. 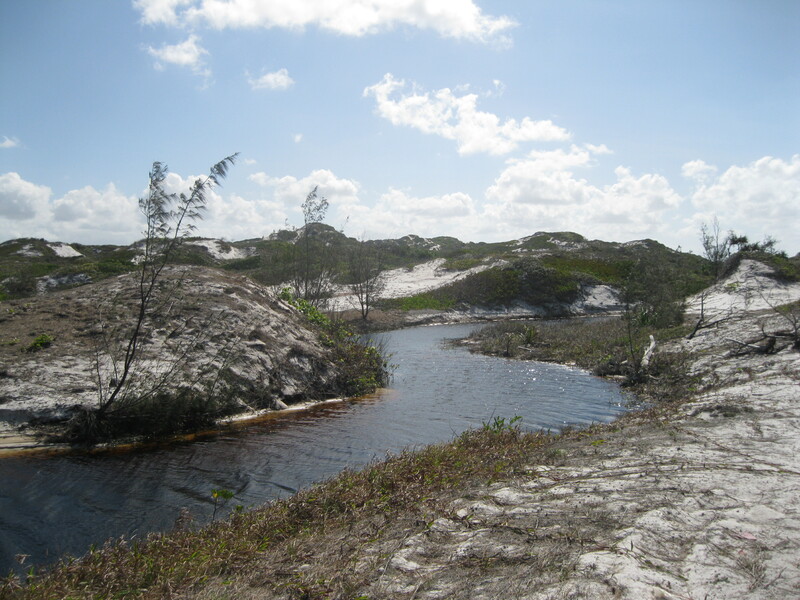 It is very interesting to have a stroll around on the beach to check out the different formations of the dunes and the small creeks and ponds that appear. 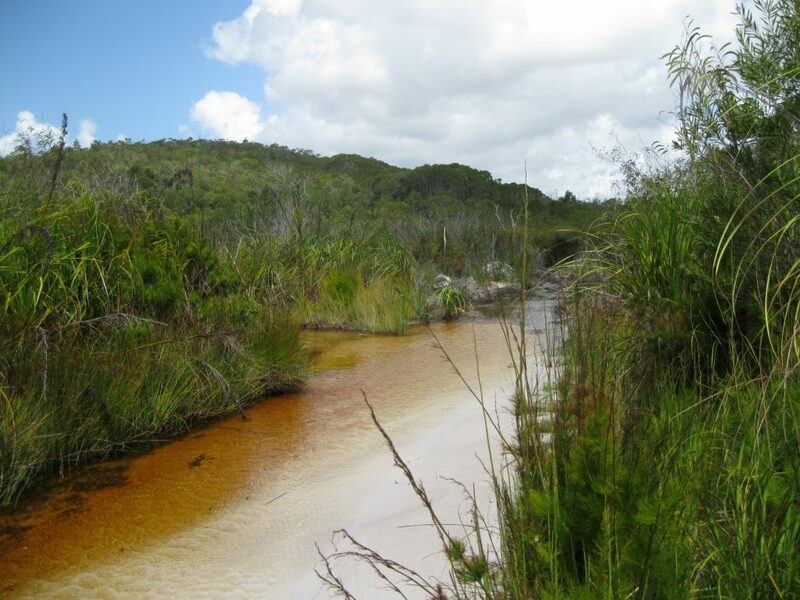 This landscape may change from season to season depending on the conditions of the wet season. There are plenty of opportunities to get some great photos. One of the more negative aspects of Cape Flattery is the abundance of garbage on the beach which is due to the tide bringing all the rubbish in from ships passing by. You will see everything from plastic canisters, fishing nets, ropes and massive parts from ships. Hopefully the local shire of Hope Vale will have more focus on cleaning the beach in the future. 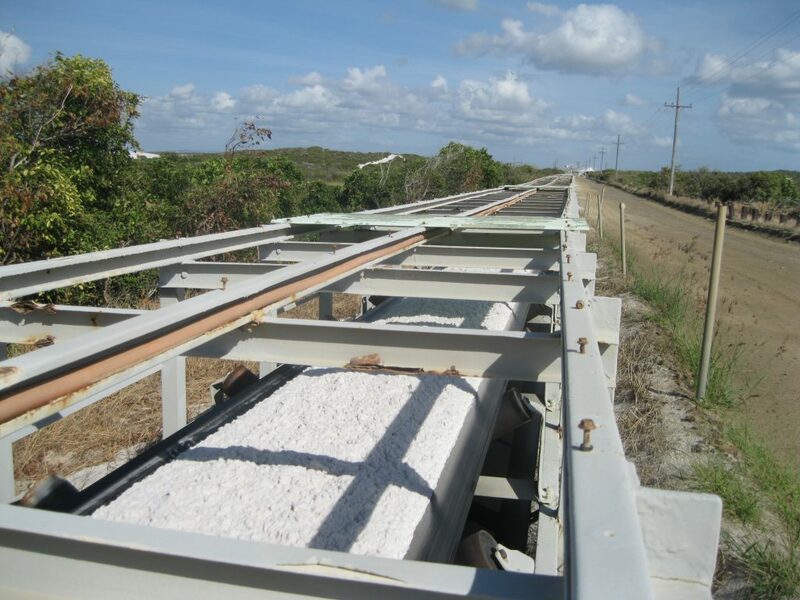 If you make your way further up the beach towards the turn off to Connie’s Beach, you will see the conveyor belt from the silica mine. This is where they transport the silica sand from the other side of the cape out to the ships to be transported onwards. If you drive down to the right side of the beach you are heading towards the McIvor River. This is a beautiful spot. 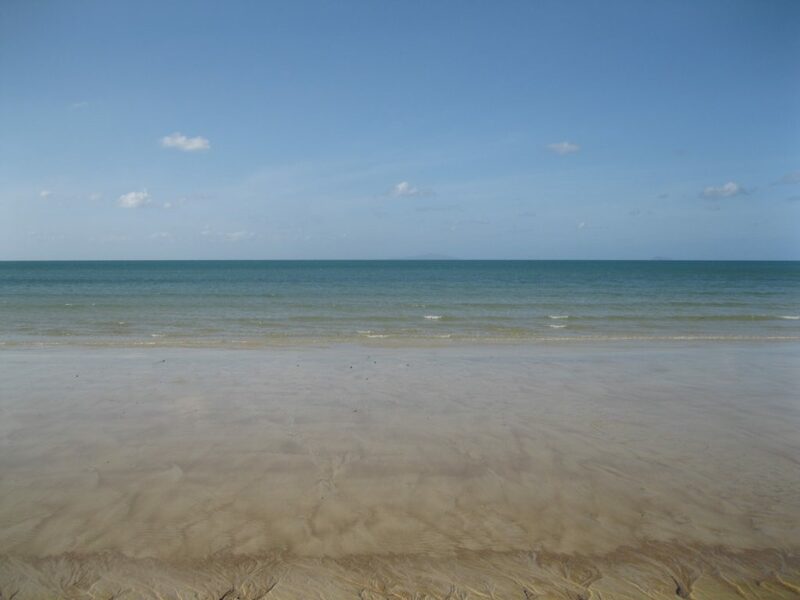 In the distance across the sea you have perfect vistas of both Cape Bedford and the Coloured Sands which are close to Cooktown. Another pretty funky feature is where the river meets the sea, evident by the contrast in colours between the river and the sea. You have the option of camping here but bear in mind that it can get pretty windy. 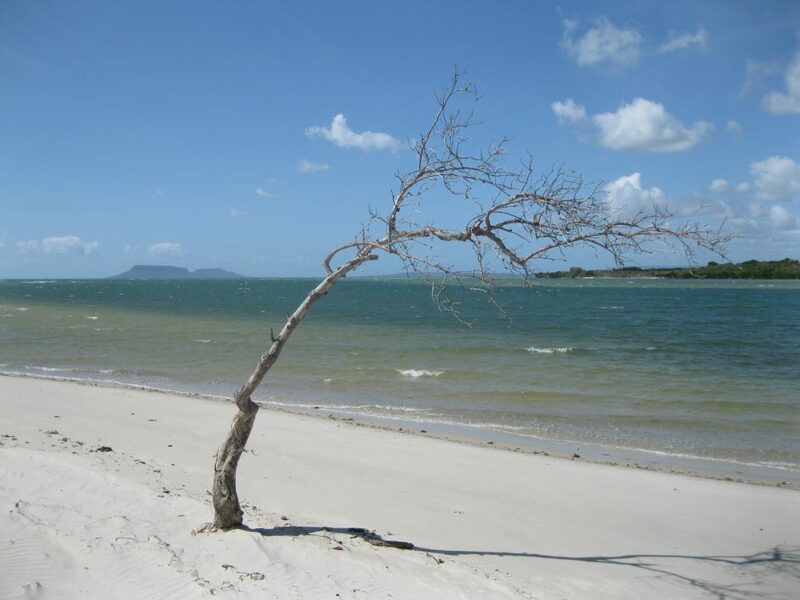 Another option is to camp at Connie’s Beach and head down to the McIvor River on your way back to Cooktown. If you are into fishing this is also a great place to go. Take your camping chairs and make your way down to the shore, cast your fishing line, place your fishing rod on the fishing rod holder and have a chill. The scenery in this area is quite spectacular. It is so relaxing to sit and look at the massive blue ocean. Have a mosey around and explore this beautiful area. It may change a bit from season to season after the wet season. 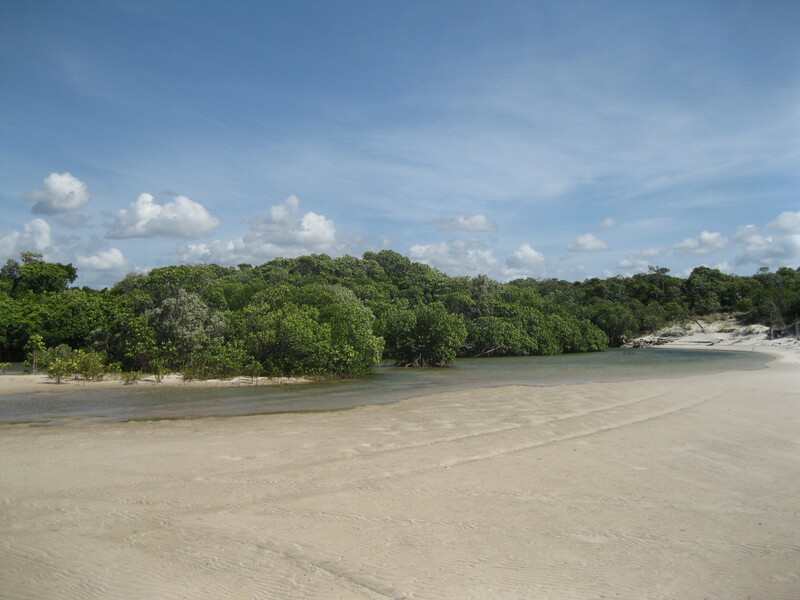 Small creeks have been created from erosion during the wet season leading down to the river and sea through the magnificent mangrove. Bear in mind that you have to be aware of estuarine crocodiles in this area. So be a bit careful. Take a hike up the sand dunes into this ferocious landscape. You could go for a walk among the dunes but just be attentive to were you are going so you don’t get lost. 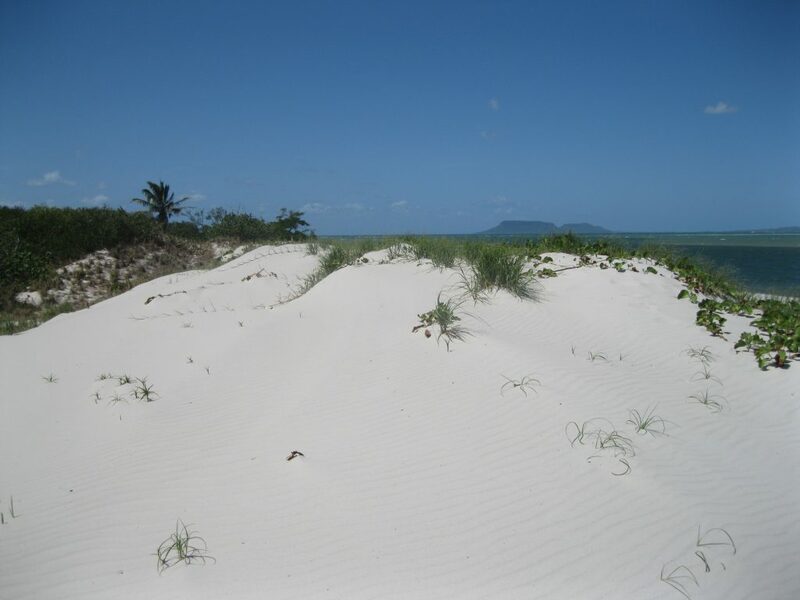 From the top of the sand dunes you will have an amazing bird’s eye view of the sea and the McIvor River. This is a perfect opportunity for taking great photo of the sea, the river against the spectacular dunes from many different angles. It is highly recommended that you continue onwards to Connie’s Beach, which is truly a hidden gem. To continue onto Connie’s Beach, head up the road all the north end of Cape Flattery Beach up an ascending slope. You will be exposed to some phenomenal views at the very top of the hill. Have a stop here and take some photos of this amazing panoramic vista where you can see the beautiful hills down towards Connie’s Beach and Cape Flattery Beach. You can also get some great photos of the road heading through the sand dunes as well. One of the most interesting and challenging parts of the track is when you get to the tunnel that leads under the conveyor belt. The tunnel has low clearance as it is 2.4 metres (7.87 ft) high and 2.4 metres (7.87 ft) wide. Making your way through here takes a bit of precision but you should be fine is a regular 4WD. As you get to the other side of the tunnel it is recommended to have a stop and head out of the car. Take a couple of shots of the tunnel and walk up to the conveyor belt. This is quite interesting. 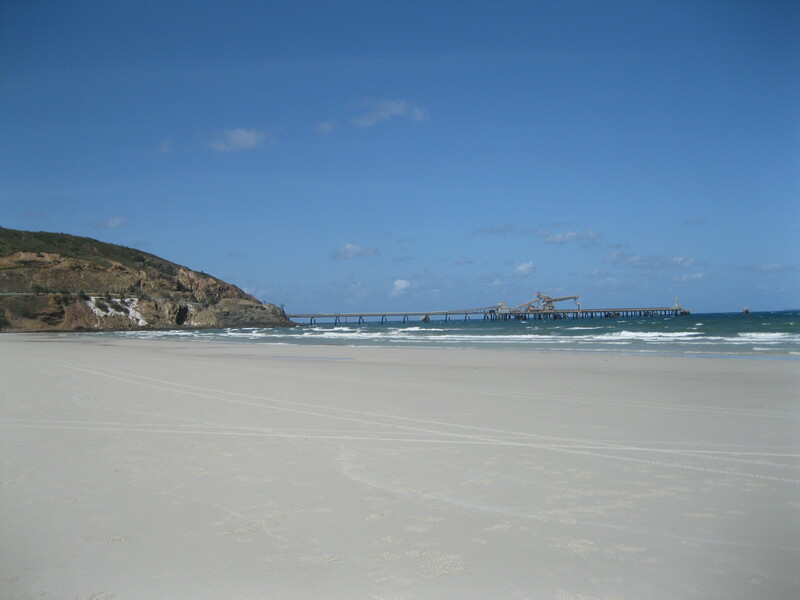 Massive amounts of silica sand are transported from the mine down to the pier. It just goes on forever at a pretty high speed. The amount of sand that just keeps on going down the conveyor belt is amazing. 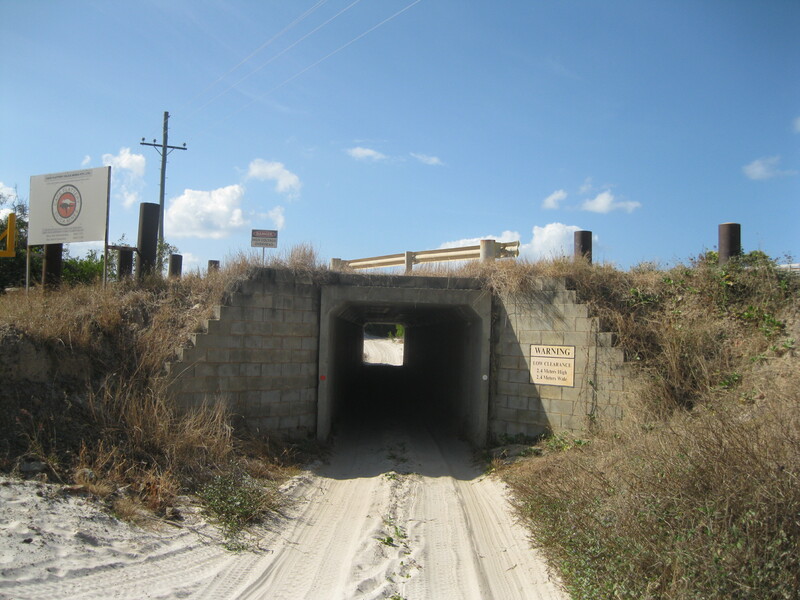 As you continue on your journey through the dunes, the ride to Connie’s Beach takes about 25 minutes. When you arrive at Connie’s Beach you will be approached by a beautiful beach, which you will most likely have all to yourself. The best spot on the beach his right at the middle so make you way down there and set camp. This is such a splendid place to stay for a couple of days as there is plenty you can do in the area and it is such a tremendous spot to chill out and take in the views. Not only will have be staying on a gorgeous beach but you also have views of bush and glorious hills at each end of the beach. 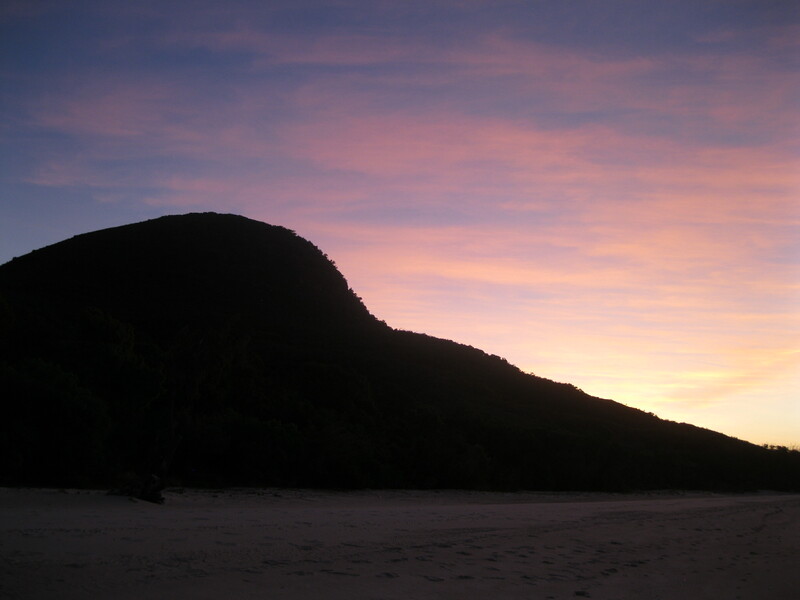 To the west you will see a magnificent hill as the centre piece of the beach. Connie’s Beach is a much better place for camping than Cape Flattery Beach as it much more calm and there aren’t much garbage lying around either. Go down to the beach and have a sit down in a camping chair and take in the view of the ocean. You may just spot some dolphins or sharks not too far from the coast mocking around. That is not unusual. Head into the surf for a dip and a cool down. You could also bring your camera and take some shots of the beach and the surrounding bush, hills and especially the big hill at the west end. It is a great shot of the beach fronted by the water and the shore. 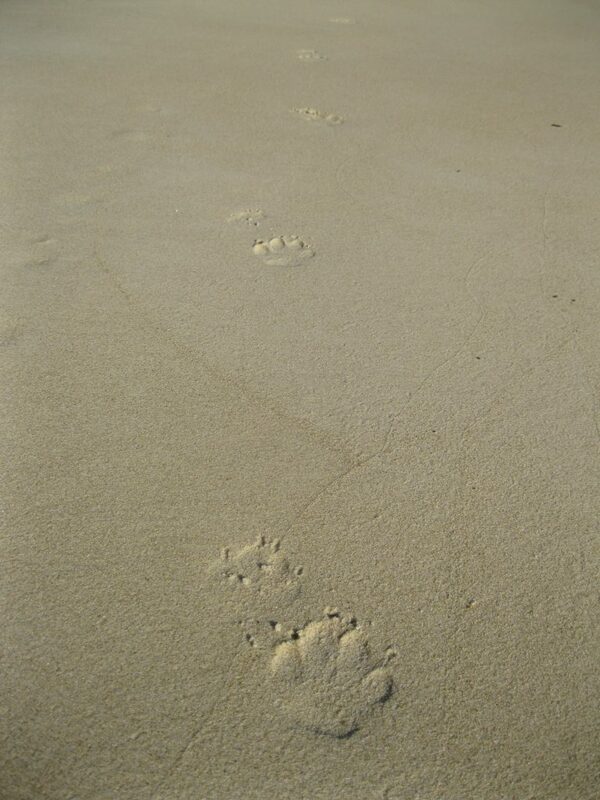 Have a stroll along the beach. This is so lovely. Feel the nice breeze, listen to the sound of your bare feet sliding through the sand and check out the beautiful colours of the sky. 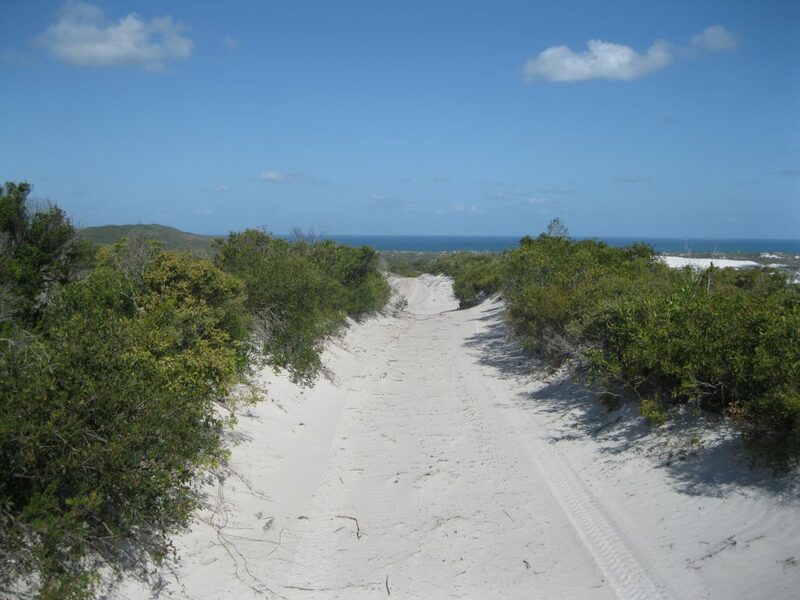 Head up to the bush and take some shots of this amazing scenery meandering its way right down to the beach. Notice the marvellous ripples in the sand created by the wind. You can get some awesome images of the ripples from many different angles exposing the staggering colours. It’s pure art. 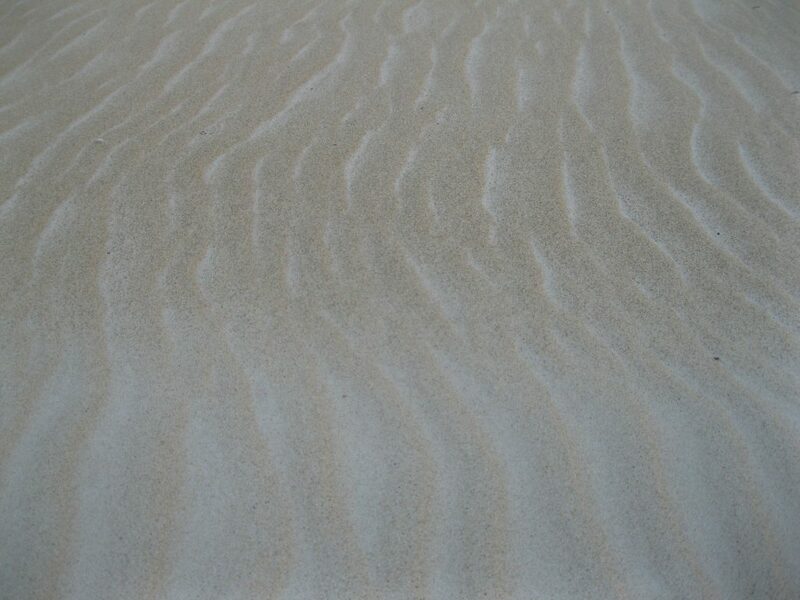 Take some pictures of the ripples and sand dunes against the bush, rocks and the ocean. Absolutely lovely. As you mosey down the beach you will notice several sand pellets from craps which are quite a sight and perfect for a photo as well. If you are into fishing, Connie’s Beach is the place to be. 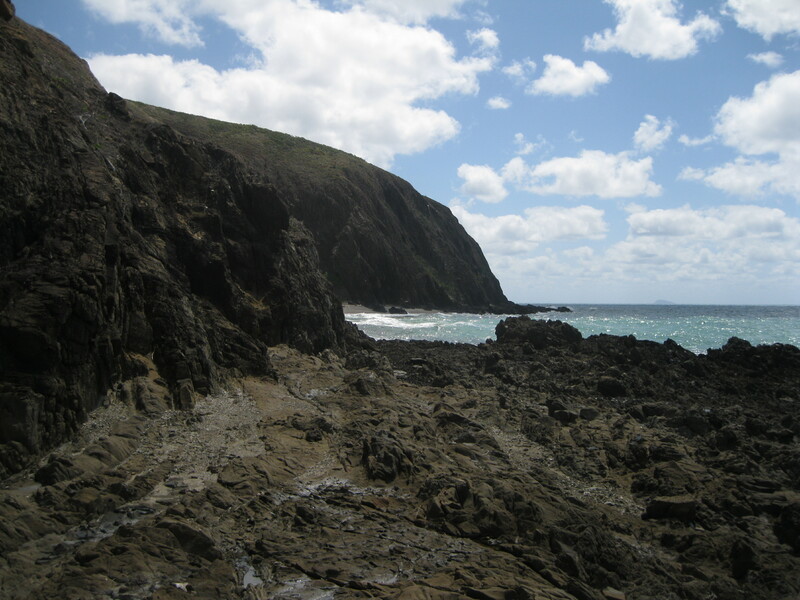 To get bait for fishing, go further down in the opposite direction of the rocky outcrop located at the western end of the beach, as there will be plenty of hardy head fish which are the perfect for the job. Cast a net where you see a big dark patch out close to the shore and you will most likely catch a lot of bait fish. When you have collected all the fish in a bucket, head down towards the rocky outcrop on the shore. Make you way out onto one of the rocks, cast your fishing line and you may just be lucky and catch some fish. If you like oysters you can do a bit of harvesting on the rocks here as well. Quite a cool little exercise to check the rocks for Oysters, even if you are not a big fan of this particular kind of eating it’s still exciting. Bring a hammer and a scraper to knock the oysters of the rocks and they are ready to be consumed. 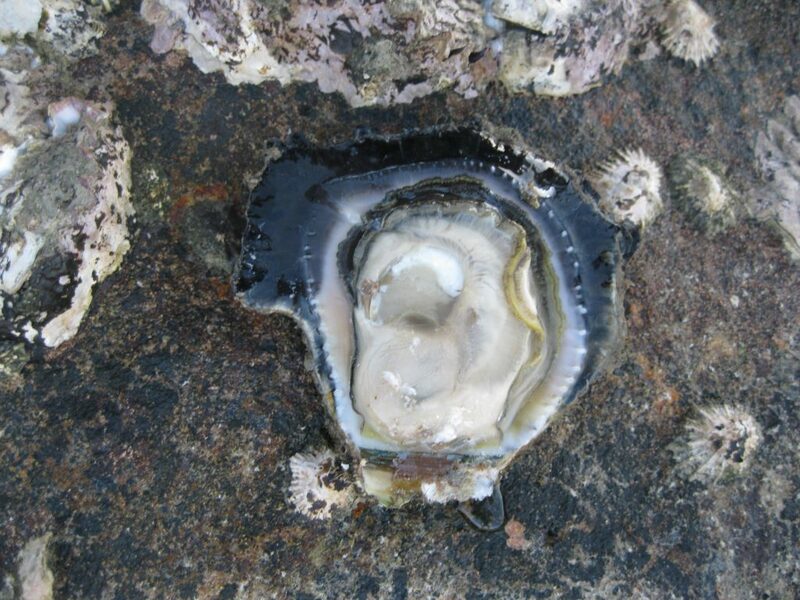 The species of oysters are Black Lips Oysters. One of the highlights of your stay on Connie’s Beach is checking out the magnificent sunset. The sky will lit up with yellow, red and purple colours and the shots you can get will be very beautiful. 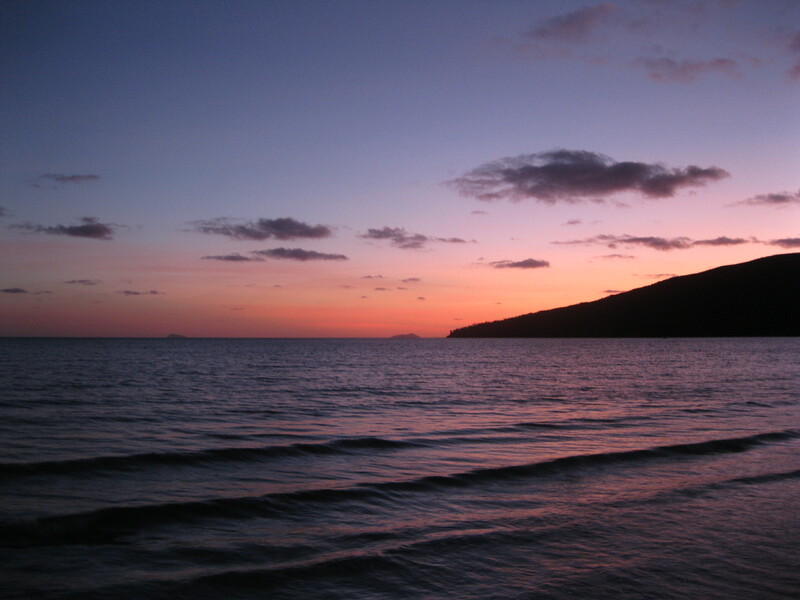 After sunset it will be the ideal time for shark fishing. The baby sharks will hunt for small fish close to the shore. Make your way down to the shore with your fishing rod, a camping chair and a beer. Cast the fishing line, place the rod in a rod holder and have a sit down. You will most likely have a shark on the hook within a short time. It will probably be small baby sharks but you could also catch pretty big baby hammerhead sharks. This can be quite exciting and you will get the adrenaline going. You should obviously throw the sharks back into the sea and it is up to you to decide whether you reckon this is fair on the poor creatures. Having said that, this is what a lot of anglers do with fish, so it is not that unusual. Connie’s Beach is such a wonderful spot and just lovely when you have to turn in for a good sleep. You can sleep out under the stars in a swag or just in a sleeping bag. Such a great way to fall asleep under the stars and to the sound of the waves crashing onto the shore. There is a resident dingo in the area, which will probably have a stroll around on the beach at night. Be sure to pack all your food and rubbish away as it will be snooping around. It will most likely come walking around where you are sleeping. It is not dangerous so don’t worry. 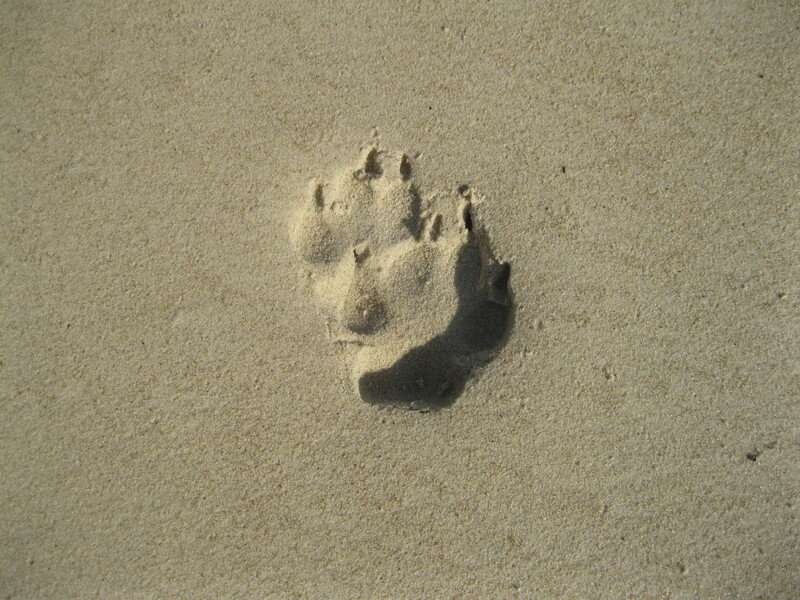 The next morning you may see the dingo tracks in the sand which is pretty wicked. If you get up early in the morning will have a view of the beautiful sunrise of red and purple colours reflecting in the sea. It is so amazing and such a perfect photo opportunity. The wharf of the silica mine is located on the southern point of the Cape Flattery headland. Berthing is carried out by two boats and is a remote operation as there are no facilities. The mine has more than 80 employees and delivers the highest quality of silica sand in the world. The mine has the highest production of silica sand in the world and is the largest global exporter. The mine has been in operation since 1967 and covers a lease of about 63 km2 (24.32 square miles). It is estimates to have a resource of more than 200 or 500 million tonnes of silica sand, depending on the source. 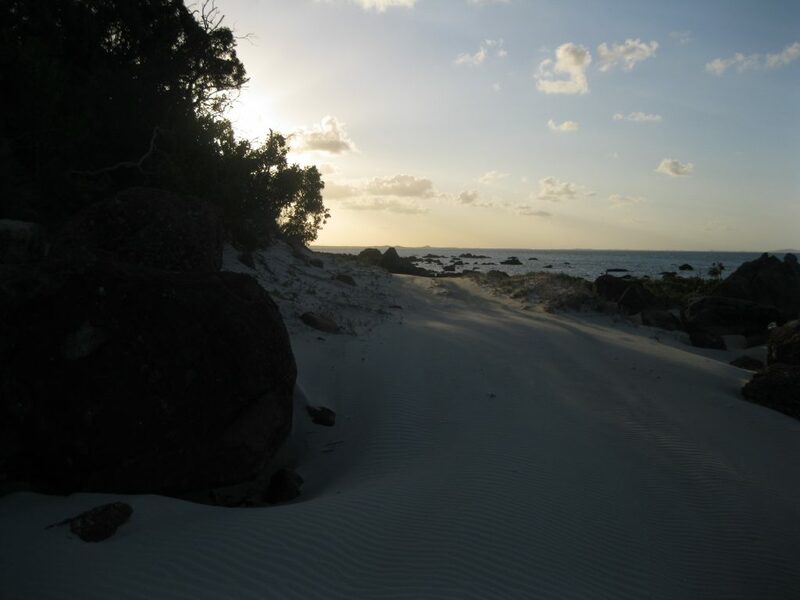 As you have set camp on Connie’s Beach you could go on an excursion to the neighbouring beach which is unnamed but to some it’s referred to as the “middle beach” as it lies between Cape Flattery Beach and Connie’s Beach. Just bear in mind that your vehicle will be scratched up on the way as the sand dune road leads through a bushy area and branches will hit and slide along your car. This is inevitable. You therefore have to decide if you mind this or not. Some of the scratches can be pretty deep. The road to the middle beach is pretty narrow and bumpy in some sections but this also makes it fun and adds to the adventure. It’s about a 30 minute ride from Connie’s Beach to the middle beach. The middle beach is a nice little spot and good for fishing as well, so remember to bring your fishing equipment if you are up for that. If you head down to the right side of the beach you will find a rocky outcrop which is ideal for fishing. This outcrop is really rugged and quite stunning. Just bear in mind that it can be a bit windy. 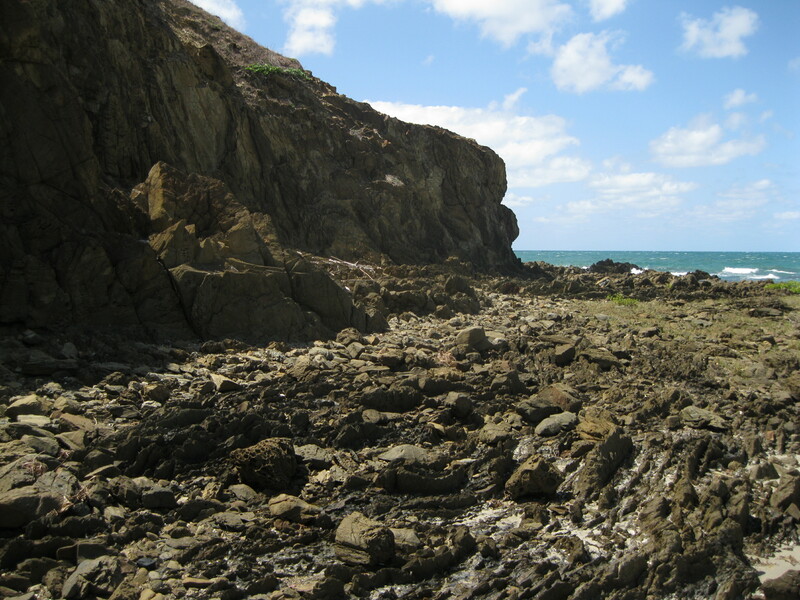 You can get some great photos of the outcrop against the sea and the beach from many different angles here. As you meander out to the head of the outcrop you will be able to view the hills around the corner and the sea crashing onto the rocks. The scenery is actually pretty astonishing. It’s a small beach surrounded by hills and a cool place to stroll around exploring too. If you head away from the sea towards the backdrop of hills you will discover a creek with mangroves which is yet another perfect photo opportunity. You can get some awesome images of the creek against the dunes and the hilly slopes in the background. You could also take a walk up to the road where you came from as you can get some pretty neat shots of this wonderful rugged road to the middle beach enclosed by bush. On the down side this beach is sadly also infested by rubbish from the sea like seen on Cape Flattery Beach. But don’t let this sight spoil the gorgeous scenery. You can spend between a couple of hours and half a day on the middle beach. When you are done, make your way back to camp on Connie’s Beach. 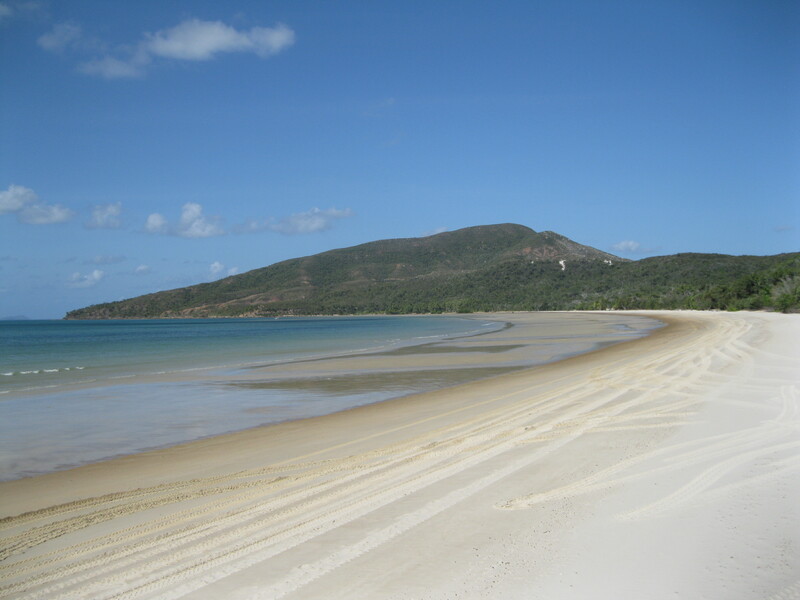 When have finished you stay on Connie’s Beach you will be heading back towards Cooktown on the same road as you came on. As mentioned earlier you could do the McIvor River on the way back if you haven’t decided to camp there at the beginning of your trip. Doing the McIvor River upon your return is a great option. When you head onto the sand dune road away from Cape Flattery Beach you have to bear in mind that you are going up a steep hill which can be a bit of a challenge. So again, it’s good if you are at least two vehicles on the trip in case you get stuck. Hopefully it will be all good and you are set to head back towards Cooktown after an amazing experience at Cape Flattery.